There will be a large number of people hiring cars and taking breaks over the New Year festive season and it is vitally important that after celebrating a great Christmas and heading to the sunshine or ski slopes don’t forget to buy the insurance for the holidays. Flight cancelled, delayed, baggage stolen, going skiing - these are some of the reasons you need travel insurance. The same importance applies if you are hiring a car, you will normally need to take out additional “excess insurance”. If you buy this from the car hire company research by the independent insurance companies shows that the consumer will pay a lot more for this excess insurance. There is a great selection of car hire excess companies advertising on Irishpropertyinsurance.com and a daily policy starts from just €2.33 approx. Philip Suter of Irishpropertyinsurance.com said” I personally have always had annual car hire excess policy for my wife and myself since we were to pay a large excess for alleged damage to a car rental in the south of France in October 2000 and these annual policies prove very good value for money. Most providers also have daily policies at very competitive prices”. Many of the car hire excess insurance are also involved with travel insurance products. Examples of these are Worldwide Insure, Questor Insurance Services,and Blue Insurances who market products under the Carhireexcess, Great Cover and Multitrip and more brands. Specialist companies like Staysure offer products for the over 50’s who are part of a growing market of travellers. The great advantage of buying on line via Irishpropertyinsurance.com is that you make all the arrangements direct with the individual insurance company, pay by card and have everything set up in a matter of seconds. If you take a break at least a couple of times a year, consider annual car hire excess and travel policies. It can save the consumer a lot of money and leave funds for the holiday or even the New Year sales. There is also a great selection of companies offering Holiday home insurance, Landlord and Tenant Insurance & more. Please add your comments and experiences below and become a follower of this blog. If you would like to advertise your products to the Irish market please contact us. 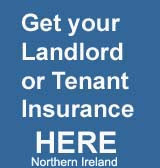 We promote insurance products to residents of Northern Ireland and The Republic of Ireland.